Merch Is Saturated? What The Funcle Do You Mean??? I get so tired of seeing people complain about Merch being saturated. We are a long way away from that, and in this podcast I explain why. 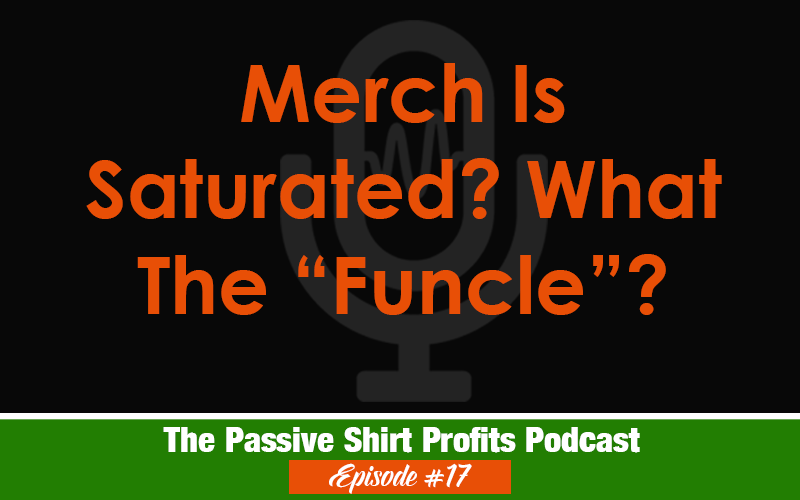 The top-selling “Funcle” shirt is a great example of how there are numerous ideas you can drum up and target to very specific people. If you are not selling on Merch, you are doing something wrong. Period. We are a long way away from saturation, thankfully. If your strategy is to just copy what everyone else is doing then yes, you might feel that it’s saturated. But if you take the time to come up with creative ideas, Merch is wide open!